For the “DIGITAL PRINT MEETS talk”, the company Ricoh needed a creative mail campaign to give fascinating insights into the finishing processes, media diversity and other topics relating to the new Ricoh C7100X series and the 5th colour station. 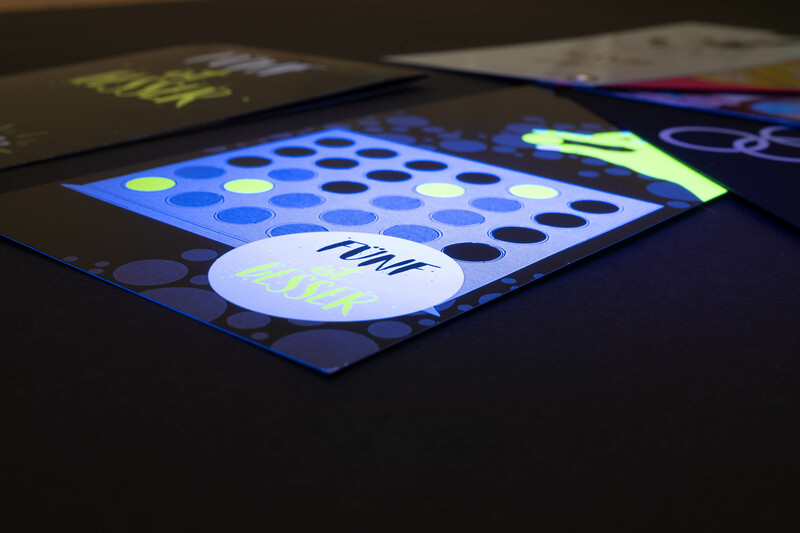 Agencies and printing houses were invited to this event and the intention was that the mail campaign would make them aware of the especially attention-grabbing possibilities of prints in neon, transparent and white. In addition to conducting the mail campaign, K16 took on the creative process, which was structured under the motto “Five is Better” in accordance with the 5th colour station theme. Using strong motifs that were showcased convincingly to represent the different possibilities of the 5th colour station was paramount. 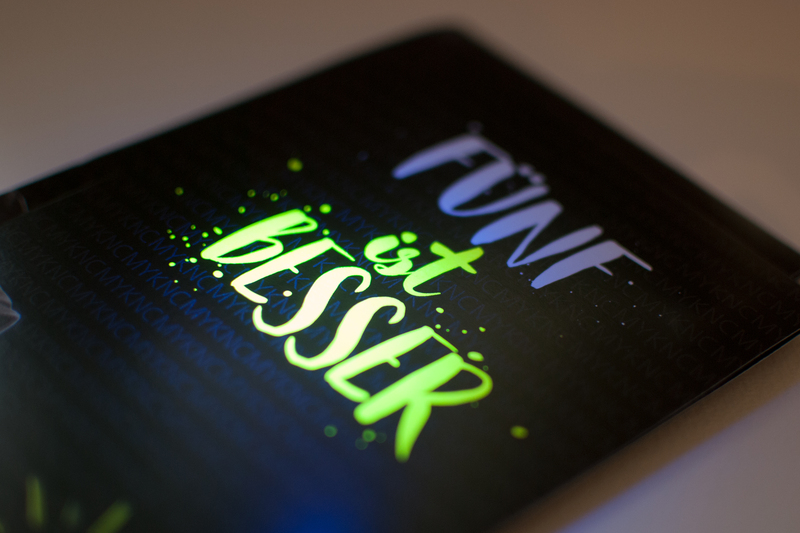 Rather than conducting a digital mail solution, K16 developed a creative mail campaign with prints in neon, transparent and white. The “Five is Better!” slogan runs through the entire concept.